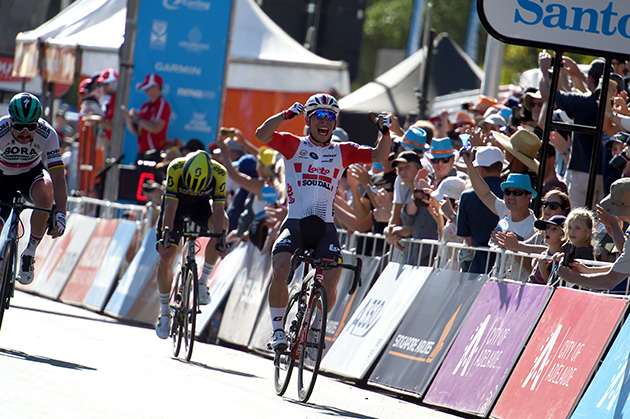 Caleb Ewan will lead Lotto-Soudal at the Cadel Evans Great Ocean Road Race. Sirotti photo. The most awaited event by Bardiani-CSF is now officially scheduled. The #GreenTeam will be at the start of 2019 Giro d’Italia, which will start on May 11 from Bologna and will end on June 2 in Verona, thanks to the wild card granted by RCS Sport. In addition to the Corsa Rosa Bardiani-CSF received the invitation to ride first monument classic of the season, Milano-Sanremo (March 23), and Tirreno-Adriatico (March 13-19). The three races are included in the UCI World Tour calendar. 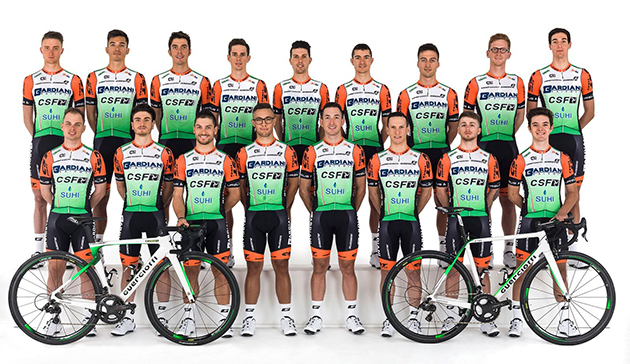 Bardiani-CSF can thus celebrate its seventh participation in seven years of activity (the same for the Classicissima) while for Bruno Reverberi the record of participation reaches 37 in 38 years as manager. Numbers of absolute importance, as well as the count of successes (27 stages won and six shirts), which make the Reverberi sports group a unique reality in the world cycling scene. Bardiani-CSF will be at Milano-San Remo, Tirreno-Adriatico and the Giro d'Italia. "We have never hidden that Giro d'Italia has always been out biggest calendar in the season, as well as the chance to attend the most important races in Italy, Milano-Sanremo and Tirreno-Adriatico above all” said Bruno Reverberi. "Year after year, cycling becomes more and more global and the competition for a wild card is getting closer and closer. Since 2013, thanks to the support of Bardiani and CSF, we have embarked on a new path, based not only on results but also on a project dedicated to young people. In a constantly evolving cycling, we are strongly convinced that our choice is the best for a team like ours. The call of RCS, which we thank, is the best certificate we could receive “. The confirmation of the wild cards arrives on the day when the #GreenTeam ended its fifteen days training camp in Spain. The return to Italy is scheduled for tomorrow. The official debut has already been announced and scheduled for February 12 at Colombia Tour, followed by the Italian one at Trofeo Laigueglia on the 17th. The other races that complete the first part of the racing season will be confirmed soon. In its European premises, The World Anti-Doping Agency (WADA) will host a meeting with a delegation of the Movement for a Credible Cycling (MPCC). This meeting will take place on 12th March 2019. On the 24th of October last year, the General Assembly of the Movement for a Credible Cycling (MPCC) sent an open letter to the World Anti-Doping Agency (WADA) and to its President Sir Craig Reedie. The members of our movement reckoned that the WADA’s lack of action concerning a certain number of issues caused a lot of a damage on the whole world of sport, and question the very basis of the international rules and regulations. For several years now, MPCC has been asking for multiple measures to be considered by WADA and its president: the prohibition of tramadol, new rules on corticoids use, standardization of WADA’s rules and processes across all sports and disciplines. But above all, MPCC demanded that in all circumstances, WADA fulfil its primary goal, which is to defend and protect the clean athletes. Soon enough, WADA answered to MPCC. This quick response showed that MPCC is now viewed as a major player in the fight against doping, which deserves consideration and attention from the international bodies. Even though the content of WADA’s responses confirmed several differences of opinion with the Movement, MPCC is grateful to see that WADA opened a dialogue and gave some answers to the questions raised by the members of our movement. As a consequence, WADA invited MPCC to an official meeting that will take place on March 12th in Lausanne.